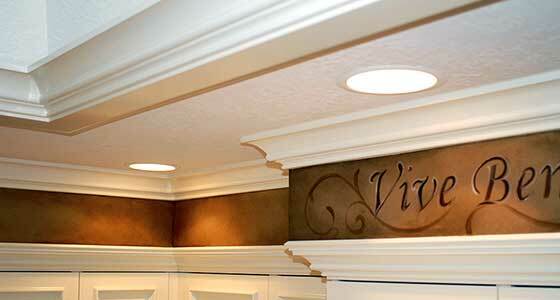 Crowning Touch by John Marsalla specializes in custom crown moulding installation throughout the Sacramento Valley. With over 30 years of experience, Marsalla has created the crown moulding, beam ceilings, and mantels for many of Sacramento's highest-end homes. Although Marsalla is a master craftsman in all woodwork carpentry, he prides himself in exquisite crown moulding installation. 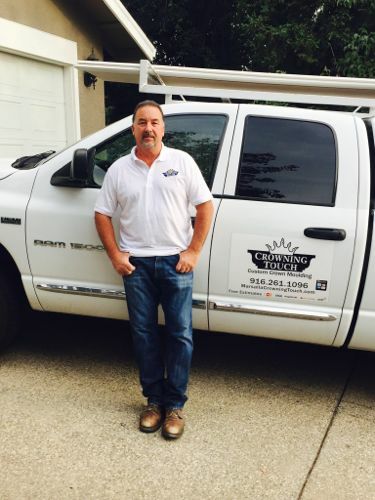 As a one-man operation, Marsalla is capable of insuring that his work is always consistent and of the highest quality. Since 1989, fine homebuilders and interior designers have called on Marsalla for his professionalism, perfectionism and artistry. 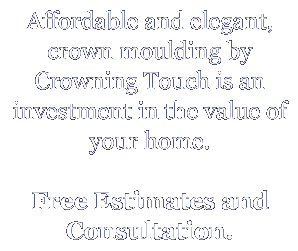 In this economy there is no better way to improve the value of your home than with custom crown moulding installation. Crowning Touch serves the greater Sacramento area including, but not limited to, Lincoln, Roseville, Rocklin, Loomis, Folsom, El Dorado Hills, Elk Grove, Natomas, Davis and West Sacramento. Call Crowning Touch today for a free estimate: 916-261-1096.